Pay attention to the size, 5" X 9", it's bigger than most server book on market. If you want a smaller server book, please find at link http://a.co/25DZ7uB. 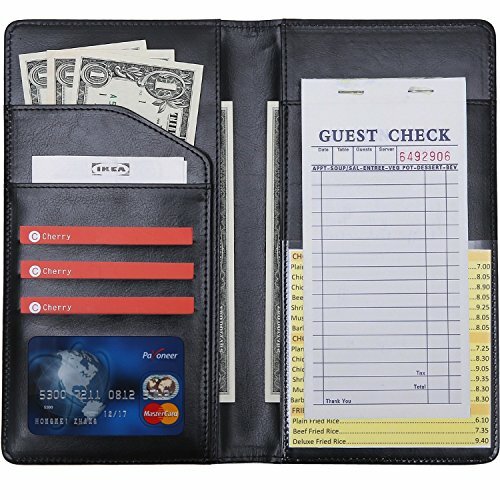 If you want a server book with zipper pocket at back, please find at link http://a.co/afDaqcz.